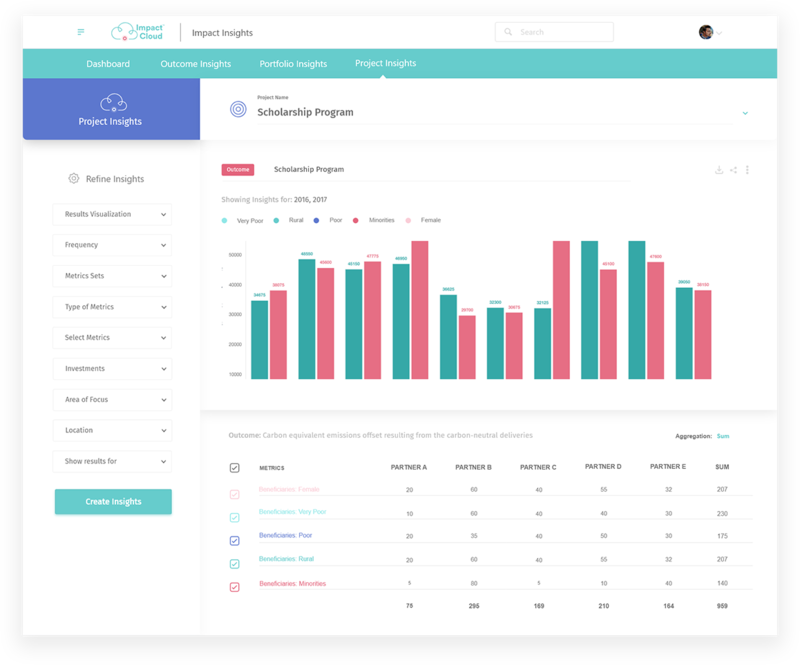 Unlimited ToC & Metrics for social enterprises, nonprofits, and grant-makers. Search and assign metrics to your projects or programs from the largest metric repository on the internet! Manage all your projects and programs, as well as internal sources of data like Salesforce and grant management systems. Use our online survey to collect your data or import your data from your favorite offline survey in minutes. Self-report your results or summarize your data from multiple stakeholders and systems. Link your results to your metrics. Complex data correlation and keep all your data organized in a master table. Dashboards, quick analytics, stories, and outcome visualizations in a single location. Report outcome and beneficiary improvement to your investors using data, charts, stories, and images. Innovative impact measurement, lean data management, and feedback loop platform for stakeholder and beneficiary data. Lean Data, coined from the lean startup movement, is an iterative process that involves designing surveys or data collection tools oriented to social impact outcomes. Lean Data allows for better feedback to social enterprises, nonprofits or small growing businesses with limited data capacity. It is the necessary tool to improve the effectiveness of these organizations' products and services. 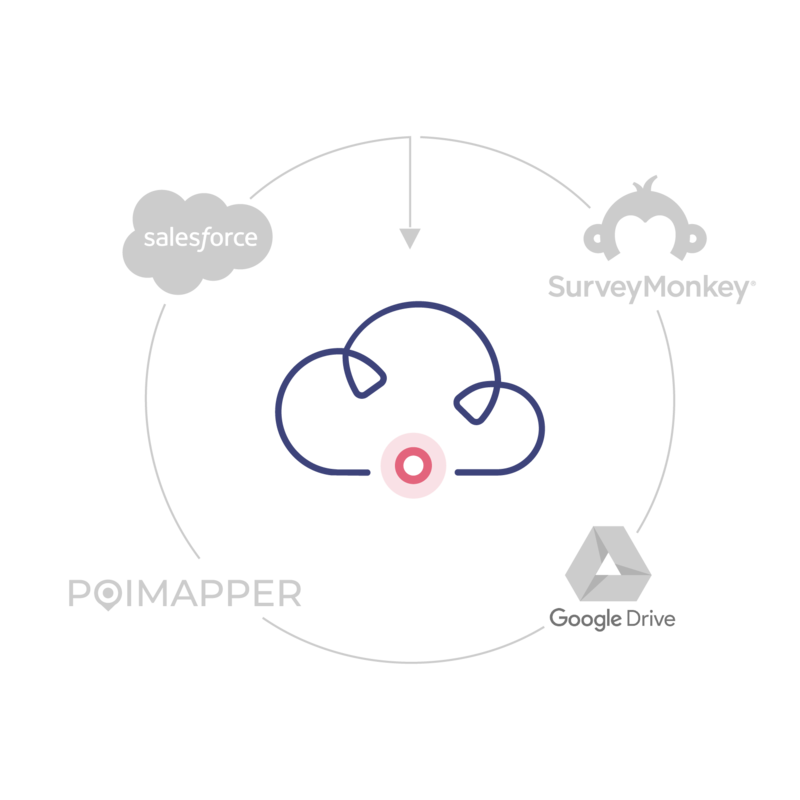 Impact Maker's flexibility allows you to define the best data collection process for your organization and use our platform to send surveys or aggregate data from different sources. More often than not, funders are not well-aligned with grantees and investees regarding the key outcomes to measure and the data collected to demonstrate the outcomes. Define your Theory of Change and metrics, share them with your funders and stakeholders, and report only on relevant data. Use your ToC as part of an application or due diligence process for new funding. Programs, projects, and products tend to have different outcomes, hence, each of them collects different data and it's analyzed individually, making it hard to compare their level of effectiveness. 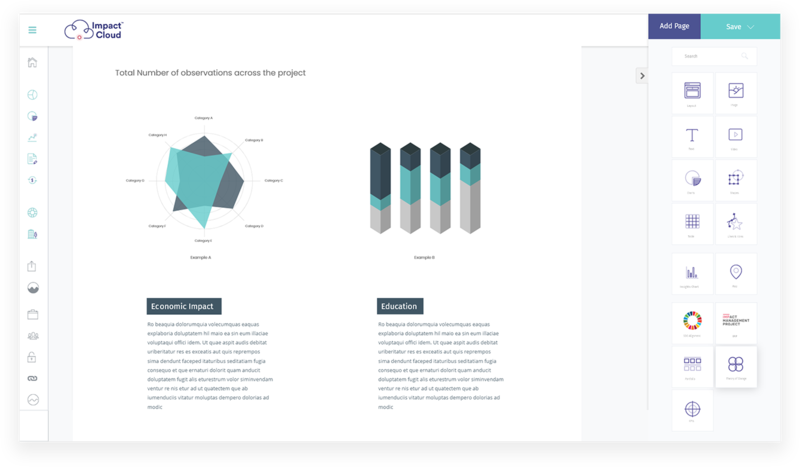 Impact Maker allows you to measure individual outcomes and apply common metrics accross your projects, programs, or products at the same time. Most organizations struggle to create compelling impact reports that integrate data, stories, narratives, and outcome results. Most organizations struggle to manage and analyze their data using spreadsheets and complex formulas or pivito tables. Impact Maker aggregates, summarizes, and analyzes your data in minutes. Create charts, dashboards, and other visualizations to incorporate in your reports. 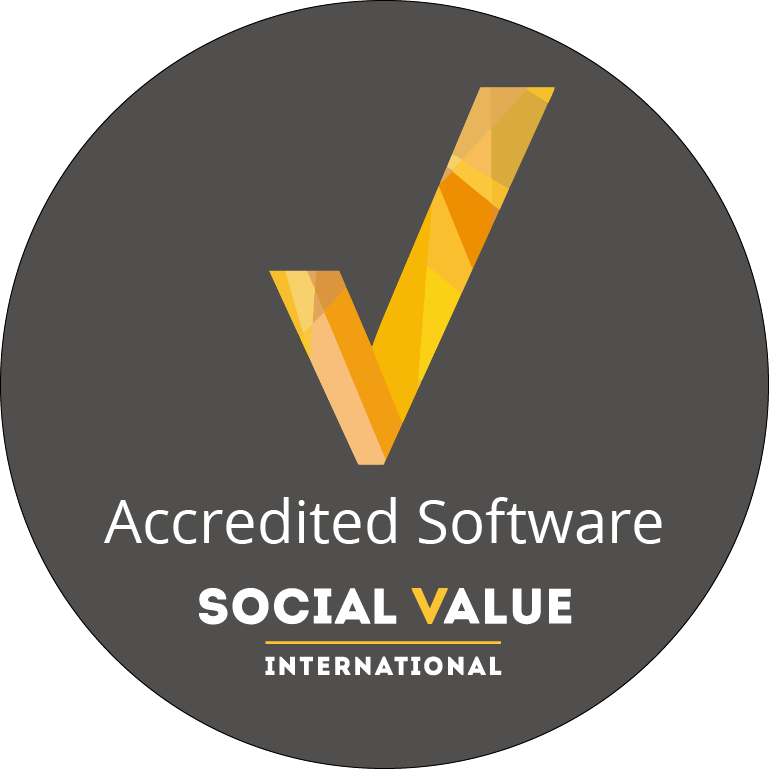 Social Enterprises and Nonprofits lack access to crucial venture support systems, especially in the developing world. The resulting lack of business skills & tech expertise leads to a restricted access to funding. 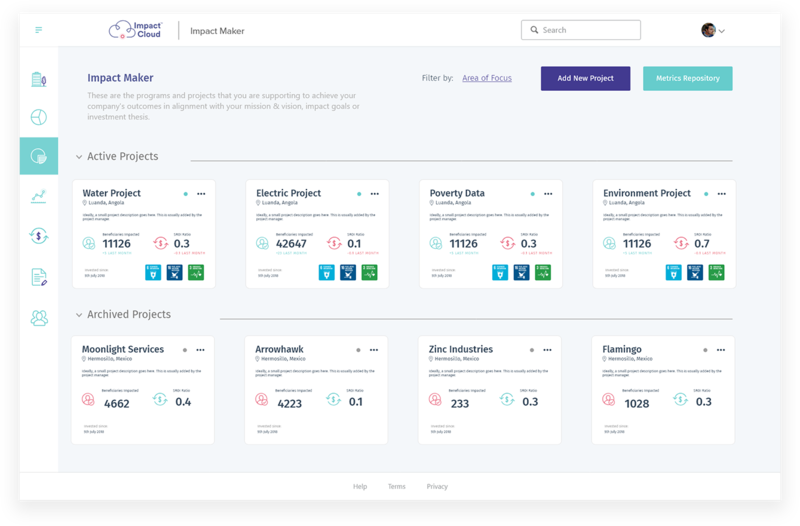 Impact Cloud allows you to connect with funders and share with them your Theory of Change and outcome/output results. Intelligent field mapper allows you to integrate any external data sources by scanning files and creating an intelligent mapping within minutes. Perform advanced data analytics without the complexity. Compare multiple projects or programs based on common metrics. Connect with funders to communicate your impact seamlessly. Create reports showcasing your ToC results, SDG alignment, Impact Management Project alignment, and Grant Performance Management. Share your impact stories on social media or on your website. 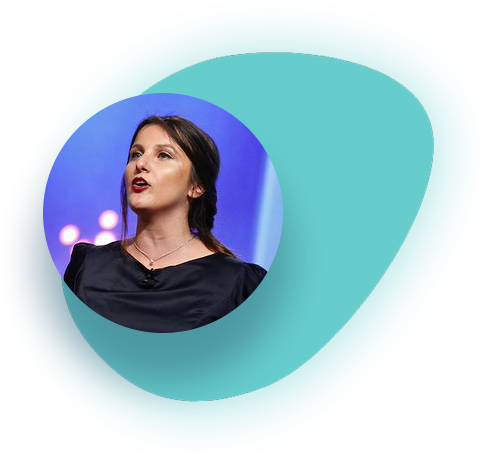 Integrate stories from the field with powerful visualizations to create compelling reports and raise more capital. Track unique beneficiaries across multiple programs or projects, summarize their activity monthlym quarterly or annually. Measure the overall program effectiveness for funding or learning purposes. I can now effectively define outcomes to my programs and can produce data-driven insights to my investors without using multiple tools.